Talk to your doctor about a referral to a physiotherapist, chiropractor or massage therapist. Either can be helpful with suggestions about some back-friendly stretches and activities or can physically evaluate and manipulate your back. Resume your normal activities as best you can. After a couple of weeks, include gentle exercises such as stretching, walking, yoga or swimming. Swimming takes the pressure of gravity off your skeleton which can help you begin to move a sore muscle and increase the range of motion in your joints. Immersion, buoyancy and heat also help, so try a hot bath. Heavy lifting is not the only movement that can cause back pain. 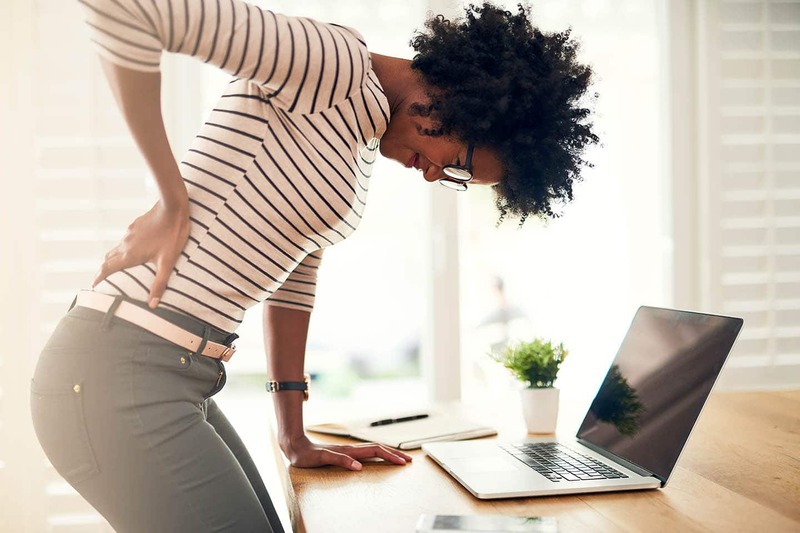 Our environments and their physical factors can be common causes of back pain. Poorly designed work areas, the nature of the work as well as the workload can result in additional stress on the back and spine. While at rest (you spend nearly a third of your life asleep) the mattress you use on is an essential factor in your spinal health, but also poor posture from slouching on a chair or sofa can contribute. Increased blood flow and circulation, which brings needed nutrition to muscles and tissues. This aids in the recovery of muscle soreness from physical activity or soft tissue injury (such as muscle strain); decreased tension in the muscles. This muscle relaxation can improve flexibility, reduce pain caused by tight muscles and even improve sleep and increased endorphin levels. The “feel good” chemicals in the brain. This mood enhancer can ease depression and anxiety, which can help reduce pain and speed recovery–particularly important for those suffering from chronic back or neck problems.